If you’re searching for popular Yo Gabba Gabba songs that your kids may enjoy listening to, simply continue reading to discover some of the most popular Yo Gabba Gabba songs to be released. If you always wished that there was a kid’s song that was catchy enough that it could trick your kids into eating more healthy foods such as carrots and green beans, it’s well worth playing Party in My Tummy for your kids. As its lyrics encourage kids to fill their tummies with healthy, nutritious treats such as carrots and green beans. 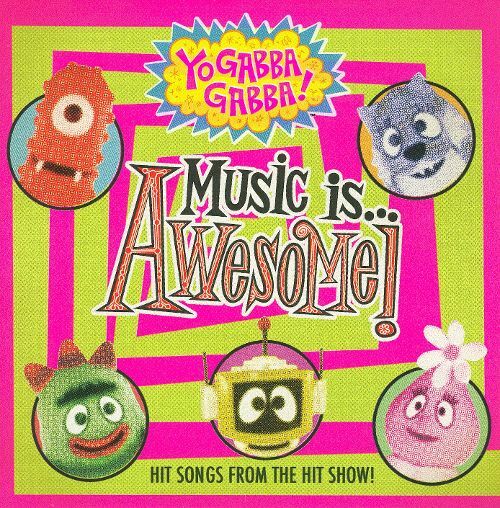 If your kids get up and dance anytime they listen to music that they love, then they’ll love dancing to I Like to Dance, which is another popular Yo Gabba Gabba song. As its an upbeat, fun track that encourages your little ones to get up and dance. Tell the Truth is definitely a song, which boasts an important message. Tell the Truth teaches kids not to tell lies and asks kids why they are tempted to lie in certain situations and the benefits of telling the truth, even when its difficult. Tell the Truth also teaches kids that real friends will never get angry at you or hold a grudge if you choose to tell the truth. All My Friends Are Different is a song which promotes tolerance of differences and diversity and teaches your kids that they don’t have to look the same as their friends or have the same hobbies as their friends. So if you want your kids to grow up celebrating their own uniqueness as well as their friends’ differences, it’s well worth playing All My Friends Are Different from Yo Gabba Gabba. Team Work is another wonderful song which will teach your kids valuable lessons. In Team Work DJ Lance Rock and his monster friends sing about the importance of teamwork and co-operation and working together when it comes time to work as a team. If you frequently treat your kids to family train rides, it’s well worth playing Train Ride for your kids. As they’ll love to sing it every time you head to your train station for a fun train ride. Spaceship Adventure is one of the most successful Yo Gabba Gabba songs of all time as it’s an original song which was written especially for Yo Gabba Gabba from the hit rock band The Killers. So if you’re looking to play a Yo Gabba Gabba song that you’ll enjoy as much as your kids, it’s well worth playing Spaceship Adventure! Big and Small is a cute song which teaches kids that its okay to be small or big and that everyone is special because they are unique and different. So if your kids are huge Yo Gabba Gabba fans, it’s well worth playing all 8 Yo Gabba Gabba songs listed right above!